Home » Blog » Stupor Keith! 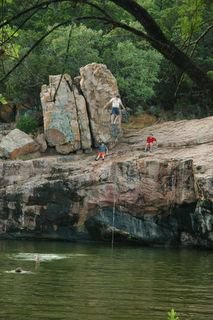 Yes, the white blur in the air is me jumping off the rock. And no, I wasn’t wearing a white t-shirt. Just me in need of a tan.